Low numbers of homes for sale have made the current housing market very competitive. For prospective buyers, this has meant it is more important than ever to be in the strongest position possible when making an offer. Unfortunately, the market isn’t always the only barrier to home ownership. Nearly one in 10 borrowers gets denied for a mortgage, according to recent analysis by LendingTree. We pinpointed the biggest reasons mortgage applications were denied. Here are five things that can torpedo your mortgage application. A poor credit history is the overarching reason that can lead to your mortgage loan being denied. In our study, one in four denied borrowers (26%) were turned down because of their credit history. The good news is that you are continually updating your credit history and can take steps to improve it if there are disadvantageous items. Review your credit report on Annualcreditreport.com or through a monitoring service like My LendingTree to ensure it is accurate. Work to address any adverse records before applying for the loan. A lot of the trouble from the financial crisis was because borrowers were put into homes they could not pay for on a sustainable basis. As a result, mortgages since then have adhered very strictly to income requirements. Stretching to buy your dream home is not advisable. Lenders are unlikely to approve borrowers whose debt-to-income ratios exceed 36%. DTI is your total monthly debt obligations divided by your gross monthly income. It was the cause of 26% of mortgage denials in our study. Most borrowers know to avoid applying for new accounts in the run-up to their mortgage application. That advice still applies once you are approved and are on the way to closing on a home. The length of time between initial application and closing is about 45 to 60 days. Lenders will check your credit again just prior to closing, and material changes could affect the cost of the loan or even lead to an approval being reversed. Avoid new applications for other credit during this time. 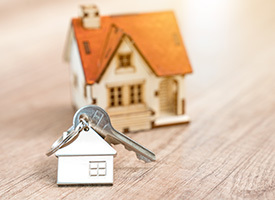 The lending decision evaluates two things: the borrower and the property, which is the collateral the lender will receive in the event the borrower defaults. In our analysis, collateral was the third-leading cause of mortgage denials, indicating the home was not worth enough to justify the financing requested. Make sure you have a look at the property and have a trusted home inspector look it over, too. The days of loans with little to no documentation are long gone. Make sure everything in your application, from your tax records to your employment history, is accurate and you have documentation. Be proactive and gather all the typical documentation you’ll need before you apply, so you aren’t denied a loan or delayed in closing.